Here’s our calendar of events, covering both official Traction meetups (MEETUPs) and other fun, progressive events (FYIs) we think are cool and may attend, but not ones we’re sending a Traction contingent to directly. Check it out. And if you’re interested in taking other tractivists along to an FYI event, shoot us an e-mail, and we’ll make it an official event with you leading the charge! We aim to set a month’s worth of events about two weeks in advance, so just because you don’t see any MEETUPs a few months ahead, doesn’t mean it won’t be busy! Check here anytime, but make sure you join our Meetup group to get notice of the events as soon as we slap them together. Wait, so what’s on here? MEETUP means an official Traction event or Traction piggyback on an existing organization’s events. Tractivists organizing a MEETUP send out story e-mails explaining what they are and why they matter to Meetup members. RSVP at the Meetup site so we know you’re coming! Let no tractivist be left behind! FYI means cool events happening around the Triangle we know about, but may or may not be going to. But if you dig it, you should go! 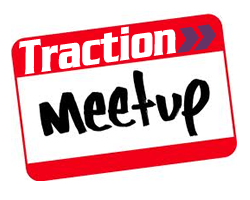 And you can always e-mail us if you want to make it a Traction sponsored meet-up!